The National Bank of Ukraine has extended the requirement that exporters sell 75% of their export receipts on the interbank foreign exchange market, which was to expire on December 2, by another three months, the NBU press service told UNIAN on Monday. 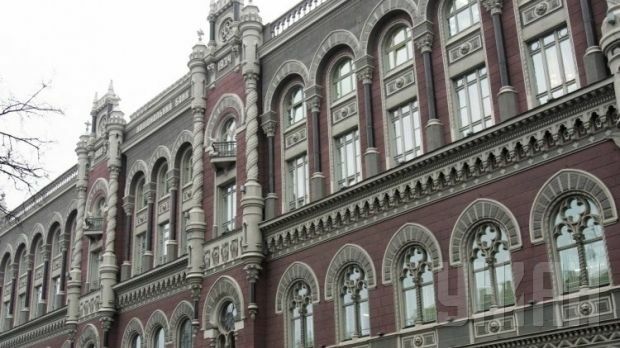 The NBU has also extended the requirement that foreign exchange receipts be returned within 90 days, as well as some other limitations imposed by NBU Resolution 540. The resolution also imposes other restrictions, such as a ceiling of UAH 150,000 on the amount of cash customers are allowed to take out per day, a ceiling of UAH 3,000 on the amount of foreign exchange cash an individual is permitted to buy per day, and a ceiling of UAH 15,000 on the amount of foreign exchange customers are allowed to take out through bank pay desks and ATMs per day. The NBU has also introduced the requirement that banks purchase foreign exchange on behalf of their customers no sooner than the third business day after the day that a customer puts in a bid and domestic currency is credited to a transit account. With the view of preventing foreign exchange purchases under sham agreements, the NBU imposed the requirement that banks draw up a foreign exchange purchase register supported by documents that provide the grounds for foreign exchange purchases. As UNIAN reported earlier, in order to stabilize the UAH/USD exchange rate, which has fallen by about two times since the start of the year, the NBU introduced certain foreign exchange restrictions, including a 75% foreign currency surrender requirement for exporters. NBU Governor Valeria Gontareva said that these restrictions were temporary, and would be lifted as soon as the foreign exchange market became more stable. Lifting the ban on the early termination of foreign currency deposit agreements, and allowing banks to pay out dividends again could be the next step, she said.